Our Vail Valley, Colorado connections deepen with our launch of S3Partnerships.com. 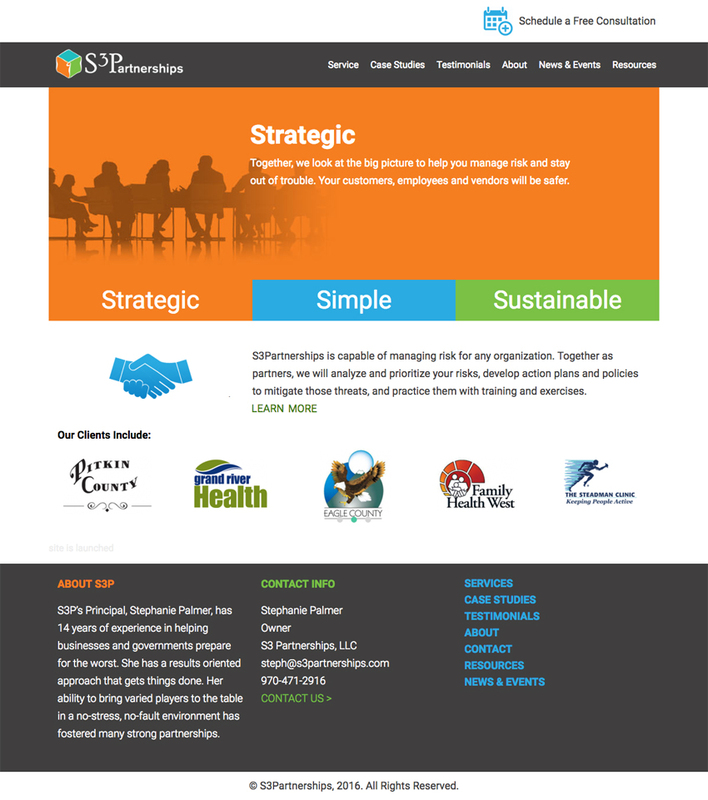 Owned and operated by Security and Emergency Planning Specialist Stephanie Palmer, this responsive site showcases her company’s expertise and an impressive portfolio advising and supporting numerous Healthcare and Government agencies. Our project contributions included web development and brand/identity refinement.